Few things can match the look of new hardwood flooring – it adds timeless beauty and value to your home. But just like a new car, proper hardwood flooring care and maintenance is an important part of the long-term investment. Here are four easy care and maintenance tips for hardwood flooring. After installation, adding protective felt pads to the legs of chairs, tables, couches, as well as other furniture to help prevent denting and scratching on your new floors. These are readily available in a variety of shapes and sizes at local hardware stores. Since they often come as a “peel & stick” format, they’re quick and simple to install before resetting your furniture. Utilizing mats at external doors can help prevent tracking in pebbles or rocks which can scratch the surface. Mats also help to collect excess water on rainy days. For longer hallways, runners are a great option to help keep regular foot traffic from wearing down your hardwood. Remember to vacuum and shake out the mats and runners regularly to prevent build-up of soil and pet hair. Many hardwood floors are pre-finished, so it’s strongly advised to avoid using harsh chemicals to “protect” your floors. Instead, focus on proactive daily care: wiping up spills as they occur with a clean cloth, sweeping up soil when you see it, or dry dust mopping before it accumulates everywhere. Electric brooms are light, easy to handle, and a nice alternative for daily maintenance. 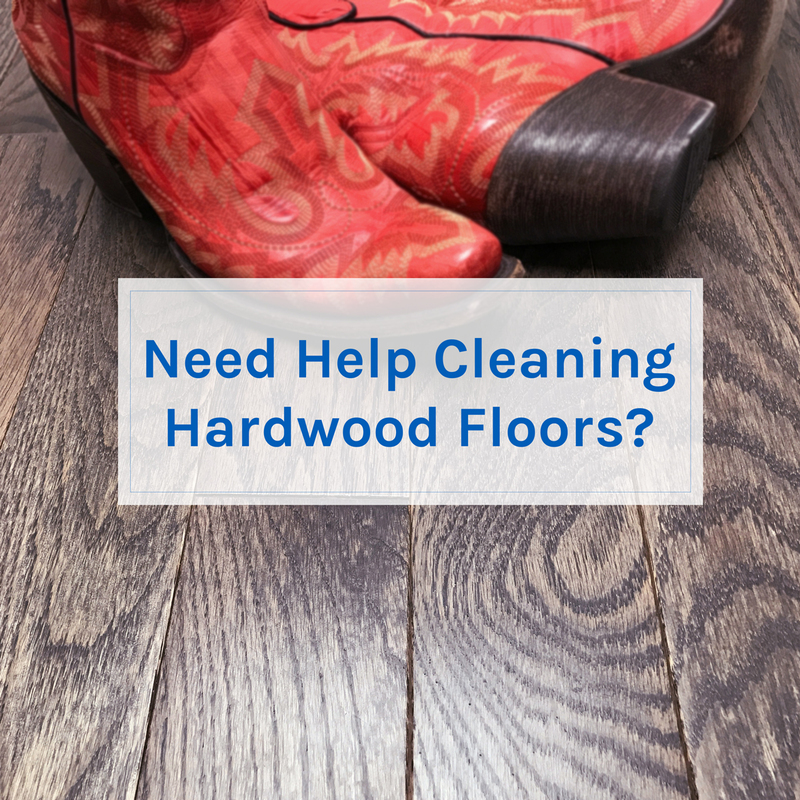 If you need to tackle heavy soiling, use hardwood-specific cleaner recommended by the manufacturer. Many manufacturers recommend lightly applying hardwood cleaner directly to the cleaning pad on a dust or microfiber mop (rather than directly on your hardwood). Additionally, steam mops or steam cleaners as advertised on TV should be avoided. The combination of heat, pressure, and excessive water can cause irreparable damage. Above all, avoid over saturation and excessive standing liquids on hardwood. For other types of flooring care, read our Advanced Flooring Guide.